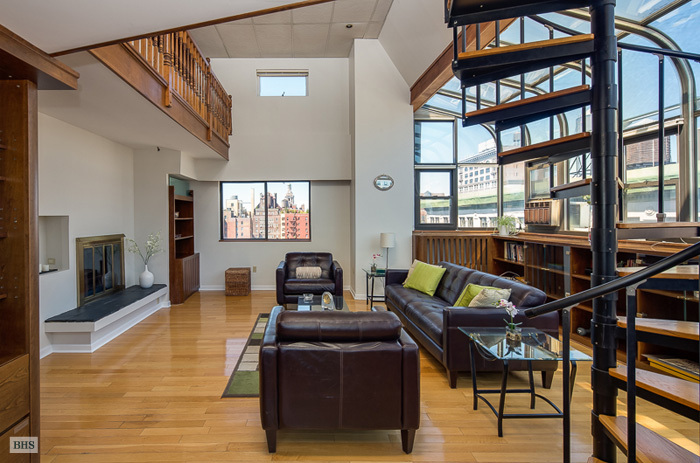 Enter the Greenwich Village home through the private keyed elevator and step directly into its biggest “wow” factor: a two-story living room with a solarium. 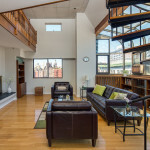 The sprawling room boasts a wood-burning fireplace, 15-foot ceilings, splendid city views on three sides and a spiral staircase that leads to a lofted upper storage space. 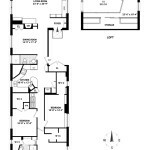 In fact, there’s no shortage of storage in this unit, with the current layout providing a walk-in closet for each of the loft’s bedrooms and an additional closet in the dining room for good measure. 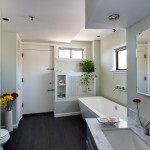 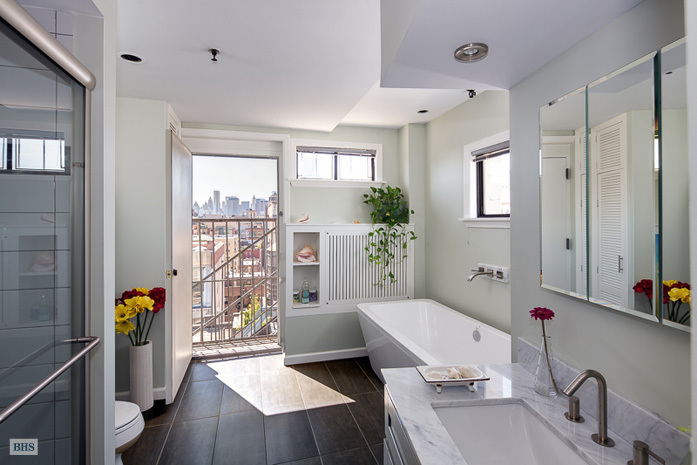 Meanwhile, the spacious master has two additional closets with another walk-in and a linen closet in the en suite bathroom, which also has its own balcony. 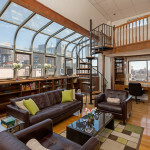 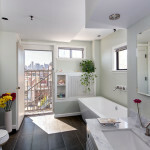 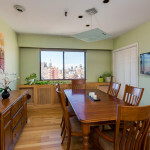 54 East 11th Street is a boutique prewar co-op with only one apartment on each of its 11 floors. 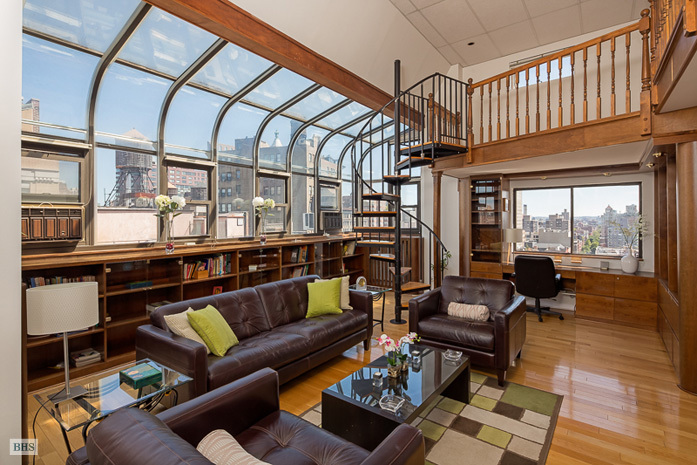 The former industrial loft building was built in 1902 and converted to a residential apartment building in 1979. 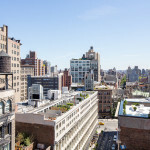 Its current location is considered pretty ideal as it’s just blocks away from Union Square and Washington Square Park while still managing to reside on a quiet street.